I was a high school student when I first met Nicole Unice at the church my family began attending, and I instantly liked her. Whether she was sharing announcements on stage at church, mingling with churchgoers in the concourse, or leading summer student ministry gatherings, it was evident that she was somebody who loved Jesus deeply, had a joyful and genuine spirit, and possessed a real and transformative faith in God. Over the years, I’ve gotten to know Nicole even better as I have learned from her teaching and preaching, served alongside of her on ministries at our church, listened to her on podcasts, read her books, and become close friends with her. I can confidently say that Nicole is every bit as genuine, joyful, faithful, and wise as she first seemed to me so many years ago. Her spirit comes through every word she writes, and it’s such a joy to celebrate a new collection of her words releasing into the world this week. 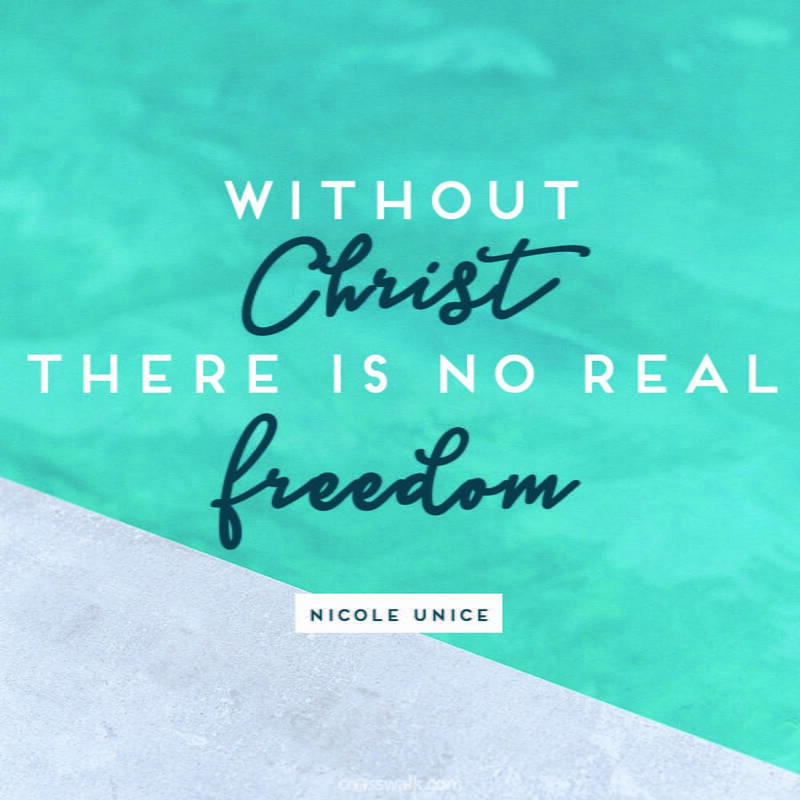 Nicole’s newest book The Struggle is Real: Getting better at life, stronger in faith, and free from the stuff keeping you stuck released this August, and I had the honor of sitting down with her the day before it launched to ask her all about it. 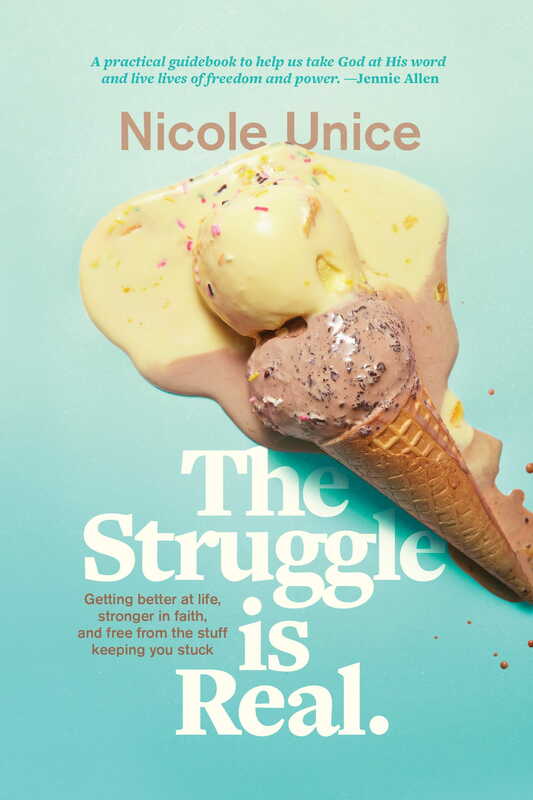 I have loved every book Nicole has written (She’s Got Issues, Brave Enough, and Start Here, co-written with our senior pastor David Dwight) but The Struggle is Real takes the cake for my most favorite of them all. It resonated with me deeply and felt fresh, relevant, helpful, and encouraging. I’ve already passed my copy along to friends, and know it will be just as encouraging to them (and all others around the world who grab a copy) as well. Crosswalk: To get started, for people who don’t know you and your work, can you tell us a little bit about what inspired you to write The Struggle is Real in this season? Nicole Unice: Yeah! Something changed for me, I think, over the course of the last five years as I’ve done ministry where I think my first heart and my primary heart is always for people to experience a personal relationship with Christ. That will never change -- it��s always about freedom in Christ. However, I felt like I was realizing more and more that people in my life didn’t have the get up and go of what that’s going to take, to try to avoid works righteousness and say, “you don’t have to work for your salvation, however, you do have to work.” There’s an intention and a commitment to the choice to really follow Christ and our culture is always going to draw us away from that. I was finding that in these conversations with people of all ages, there was a little bit of “hey, you’re going to have to make some choices and intentional commitments to what you want to believe,” and part of that is you have to suspend your right to define your own reality. That is a really challenging message in our culture. Our culture says what you feel is what’s true, and what you read is what’s true, and what you surround yourself with is what’s true. People in the last ten years of course can segment and categorize their choices in a way that I think is really deceptive. I came to a point in a conversation with someone where I was like, “Okay, in order to move forward with Christ, you do have to suspend your own reality and engage with His story, and then if you come back around and you don’t believe it, that’s fine, but you can’t have both ways." You really do have to lose your life in order to find it. The verse that I’ve loved is Philippians 3:16 which says let us live up to what we have already attained. That, to me, is the perfect phrase that defines that this is not about your salvation, but living up to what you’ve already attained and living into it. It’s going to take actual work-- good soul work-- that is going to take you to spacious places. But it’s not going to happen any other way. CW: This book is called “The Struggle is Real” -- how would you define “the struggle?” What forms does it take in our lives? NU: So, I wrote a book called “The Struggle is Real” because I believe it! (laughs) I just really believe it and I believe that even the way we use the phrase in our culture is so telling. It’s like, hey, I’m going to put on my social media this minor annoyance in my life that actually is annoying enough that I’ve chosen to take time to tell the world about it with #thestruggleisreal. But, it’s about something I’m experiencing in my daily life that I feel like I shouldn’t struggle with so much, so I’m going to put a humorous, sarcastic spin on it as a way to still vent about it. That, to me, is the deception of our age, that I’m not going to deal with what this really is about. I’m not saying we’re all going to get perfect, but Scripture is very realistic about hardship and about struggle. I don’t we are realistic about hardship and struggle! That’s why there are two components to struggle for me. The first is the struggle that we identify with, that changes in circumstances and seasons. Then there is the capital-S Struggle which is actually the narrative that God has put forth about what it means to be broken in the world and what the Gospel is for. And if we don’t know the capital-S Struggle, then we don’t have an interpretive lens for our small, everyday struggles. CW: You talk about the difference between the struggle and suffering. How would you define or explain the difference between the two? NU: To me, suffering is a struggle that doesn’t have an end time. It’s a struggle without resolution. That’s always, to me, suffering. We have a feeling, whether it’s a pressing on our soul or a dark cloud hanging over us or an actual experience of grief, hardship, loss, or betrayal, where we don’t know how to make things better. Scripture has a lot to say about suffering and I talk in the book about thinking I could escape that, like somehow you could work your life in a way that suffering won’t happen. I was choosing to define my own reality. Even though I love the Lord and know Scripture pretty well, I was choosing to define my own reality. I would read those verses about joining in the suffering with Christ and I would be like ew. Who wants to do that? You kind of glaze over that. I thought “who would pray to join in the sufferings of Christ?” I don’t think we want that to be true, yet there’s a lot of beauty and joy in the depth that comes with engaging fully in life. I would call the hope of suffering an invitation to engage fully in life. CW: You share a “Good Life Inventory” in the book, with 10 statements (such as “I am totally committed to knowing the truth about myself. I am not afraid to ask others around me to help me see blind spots or trouble areas in my life.” and “Generally I feel that my soul is trouble and undisturbed. I have nothing to hide.”) for readers to take a look at what currently describes them. What is the good life that God is inviting us to? How do we choose to enter into that invitation to the good life? NU: The Good Life Inventory is lifted from Scripture. It’s really what Scripture says makes a good life, using Proverbs, some pastoral letters, some of the Sermon on the Mount and what they say the good life would be. I found it really refreshing when I did that, because it really is the kind of person I want to be. A lot of the book talks about the idea that we have to retrace some of the wiry roots of struggles to where they began so that we can experience a rewrite in life. Otherwise, we will just repeat patterns. The Bible is really clear about a reap and sow mentality, and that’s just human nature. I don’t think the BIble is making a condemning statement, it’s just that this idea that you will reap what you sow is a law of the universe. So if you don’t go back to where Jesus can rewrite that, you will just keep reaping what you’ve sowed. If you sowed in deception, or sowed in some miserable patterns, or there is generational sin, you will keep repeating that. CW: So what would it look like tangible or practically to go back to those places and enter into a rewritten, transformed story? You share this formula in the book that “who we are + moments that matter = the stories we live.” What does it look like to go back to those places? What do you do when you go there? What would it look like to try to find a new way of living? God actually heals us. We can go back. We can be in chapter 8 of our life and God can go back to chapter 2 and change your memory. It’s not because the memory is actually different, but because he changes the interpretation of the memory, you start to basically experience a rewrite. It’s a crazy to me, this time-traveling ability of Jesus. It’s unbelievable. CW: You talk about learning to hear from God and how we create space for that, and how it often includes sitting in solitude and silence. Are there other ways you would encourage people to create space to hear from God, especially in the midst of struggle or suffering? NU: For sure. This is where I get a lot less mystical and way more practical. I think people feel like spiritual life is mystical all the time and nobody can really explain it, but there are actually practical things you can do! God speaks through his creation, he speaks through his word, and he speaks through his children. It’s as simple as that to me. It’s not simple, but it’s as simple as that. So, having eyes to have awareness about the fact that our God is the creator of everything around us, which means he can use everything around us to teach us about himself… we just have to keep our eyes open to that. I remember walking down my street and really praying “Lord, I just want to experience you today.” And as I’m walking down my street, I see this beautiful red cardinal on a branch near my house. I thought, I have a choice to make right now. I can either think “Oh, cool cardinal! ...God, I just want to experience you today.” or I can think “That cool cardinal is an experience of God today.” It’s a choice that I’m making. And then, I just wonder, what does that cardinal tell me about the world? Gosh, God loves beauty. And he’s really wild with his expressions of that. And maybe he’s more wild than we give him credit for. And I just let my mind go to those places and think about who God really is. Now, most people would say “No, God didn’t speak to you.” but it’s a choice to decide that God really did speak to me. He speaks to me when I willfully engage with noticing his world, believing every time I go to his word he’s teaching me something… those are things all of us can access every single day. That’s what I mean about hearing from God -- it’s a willful choice. CW: So if there’s someone who might be newer to practicing listening and hearing from God, how would you encourage them to discern the voices that are true and of God and the voices that aren’t. We can so easily listen to voices of fear or anger or shame, and it can be hard to detect the voice of God in all the noise. How do we do that well? What does it look like to discern if something is of God or not? The part that is really important in all of that is to listen to the tone of the voice that you’re hearing. God’s voice is a voice of love and it is completely absent of condemnation. I believe we almost have no other voices like that, even if you have a "get-up-and-go" voice or a "pull-yourselves-up-by-your-bootstraps" voice… most of those voices still have condemnation in them. But his voice is completely outside of that, and for me, I usually experience it as a thought that I would not otherwise have. It’s not that it’s out of alignment with something I might be thinking about, but the way of it is not normally how I would have it. I always back that up with asking if Scripture supports it, and making sure I have wiser friends who think the same. We can deceive ourselves pretty well when we really want something, which is why it’s really helpful to have other people in our lives. CW: So why do you think it ultimately matters that we learn to hear from God in this way? NU: It’s the very best thing you could have happen to you! Imagine having a best friend that 100% knows you, better than you know yourself, and 100% loves you, more than you could love yourself… wouldn’t you want to be with that person all the time? You would want that all the time. It’s what is offered to us in Christ, and to not take this gift of this life (that is legitimately hard because #thestruggleisreal) and take God our Father by the hand, it’s just such a miserable existence. CW: In general, who do you hope reads and finds The Struggle is Real? 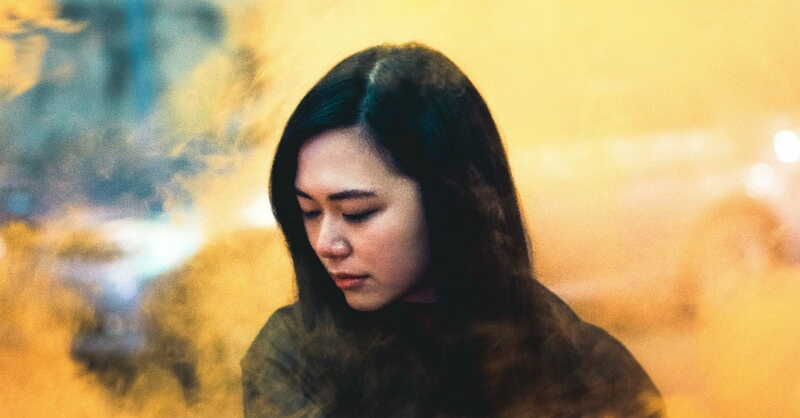 NU: It’s written for anyone, men and women, who resonate with the idea of feeling stuck, whether through circumstances or in their relationship with God. They know of God but maybe they just feel like they might be missing some pieces from along the way, which happens to a lot of people! We experience faith by osmosis, and we pick up some good with some bad, and we’re rarely really able to articulate where we fall in this story and what it’s really all about. I think culture gives us two options: we can look at the darkness of the world and the result is cynicism and despair, or we can look to the goodness of the world (which is what modern psychology wants to do) and we think we’re somehow going to dig goodness out of ourselves if we keep looking within. But how can you believe that with our political world, our school shootings, our wars and famines, and everything… how can you believe that to be true? So for anyone who is looking at all of this and wondering what it all means, and how do I fall in it, and what do I do with the places where I feel huge gaps between the person I want to be and the the person I actually am… it’s for anyone in that place. I think it can be a book that gives a lot of hope. CW: What do you hope readers take away from reading this book? 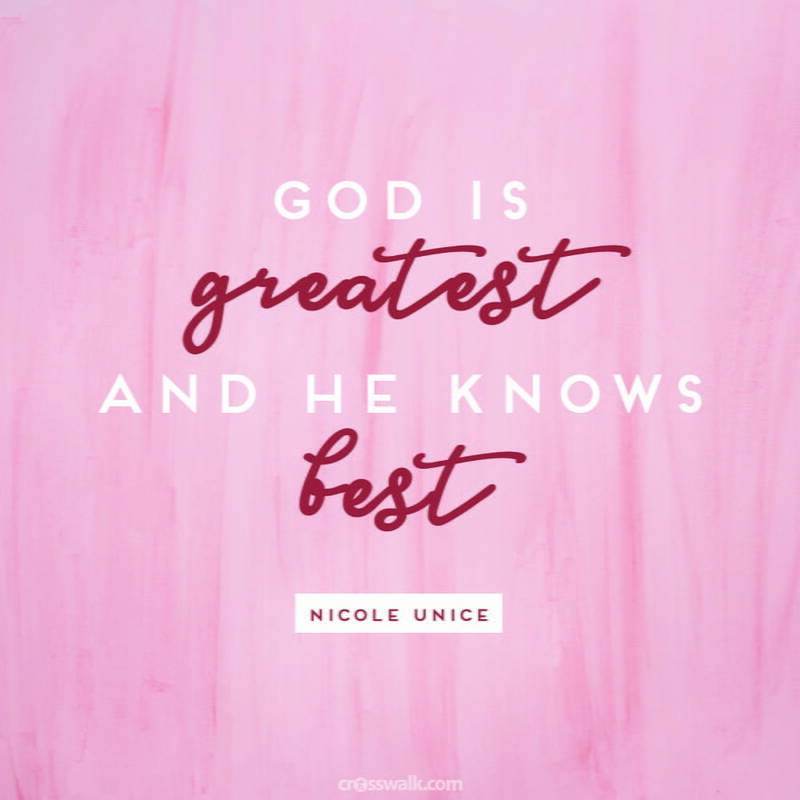 Nicole Unice is an author and Bible teacher who has a passion for bringing God’s Word to life in a personal and relevant way. Her training as a counselor informs her work, as she emphasizes the importance of facing our own reality and embracing the transforming power of God’s grace. 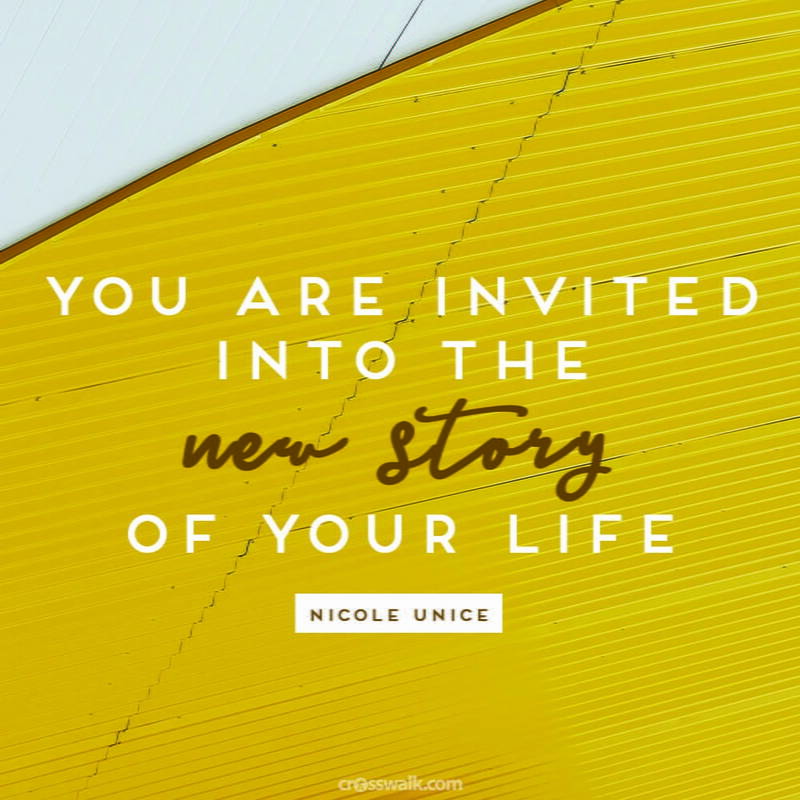 Invitations to speak have taken Nicole around the world, and her books come to life through her popular video curriculum series found on RightNow Media. Her heart belongs to Hope Church in Richmond, Virginia, where she serves as ministry director and leads Praxis, a full-time ministry residency program for young leaders. Nicole holds degrees from the College of William and Mary and from Gordon-Conwell Theological Seminary. She loves creating space for spiritual growth in the everyday rhythms of life with three children, two pups, one husband, and a whole community of twentysomethings who regularly raid her fridge. Find out more at http://nicoleunice.com.